These apartments are beautiful. The rooms are nice and the pool is honestly the best part. Not to forget the amazing 24/7 hour gym and study rooms with free printing. The apartment is beautiful, every one is super friendly including staff and its so close to campus that you can walk. It has been the best place I lived since going to college. Love the area, love the events held and love the convience to school and to the University Village shops. Best place to live in Estero. Great location for students. My experience in University Village has been amazing. The shops being so close, within walking distance, is amazing. Campus is extremely close as well which makes it no hassle to get to class or events. The apartment itself is great and there isn’t anything to complain about! The value of the apartments is amazing. You have everything you would ever need in just a few steps. The places are affordable and well taken care of, and the staff really cares. University village is a great place to live, the rooms are great and the amenities are even greater. There is always something to do every week and it’s always a great time while living here. 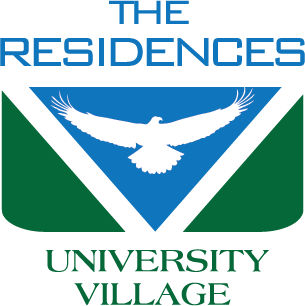 University Village is a great apartment complex for FGCU students to live at. The pool, work out room, and study room are clean and great places. Everything looks and is amazing. The one thing I’m not happy with is the lack of communication. I discussed a few things with the staff about problems with roommates and things aren’t getting resovled. Other than that amazing. I love living in UV so much. There are so many amazing amenities. I feel like I’m living in a resort with all my friends. The UV staff is always super helpful I’ve become friends with most of them. There’s nothing like this place. University Vilage is amazing and has been a wonderful experience so far. Somehow, they have managed to exceed my expectations by a long shot. It is wonderful to live here with the great amenities. The staff is awesome and very helpful. I am glad to be staying here for my senior year. There are only a few things I would change about University Village and most of them have to do with people living here rather than what the community provides. Overall great staff. University village is a fantastic community to live in. They provide students and residents with everything they need and create a great community to live in. I love University Village and how incredible the staff and amenities are! I love the pool and the 24/7 study rooms with free printing are amazing!! I wish the trash pick up was a little more consistent, but it’s been getting better since we had a discussion with the management team. It’s nice to see that our concerns are being taken seriously. The Residences at University Village next to FGCU is one of the greatest places to live. You’re practically living where you vacation while still getting that home and community feeling! My residence experience has been wonderful. I have loved every minute of living at University Village. I am excited to have renewed my lease and be apart of the village for one more year. The people are very friendly and there are lots of opportunities to socialize. The area is extremely nice and clean. The apartments are amazing and they feel like home. I love being so close to a lot of my friends. The pool is close along with the gym and free printing! I love the view out my window and our balcony! Very pretty place! I love that a lot of my friends are close by and it’s a short walk to the pool. The fitness area is nice and the on demand classes are convenient!